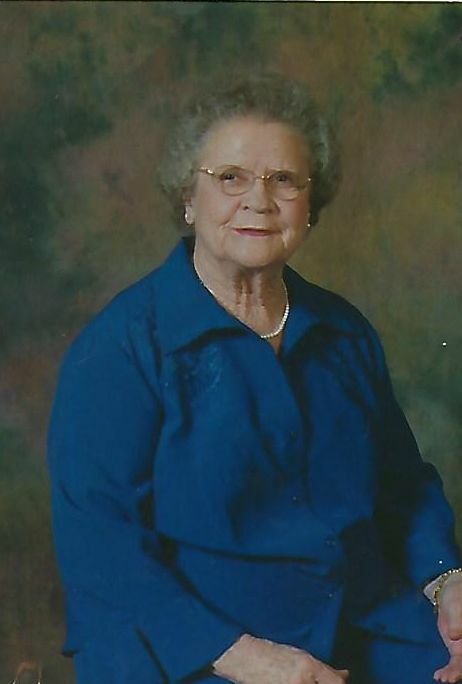 Edna Brewer Allred, 90, went to be with her Lord, Jesus Christ, on Tuesday, February 12, 2019 at FirstHealth Hospice House, surrounded by her family. Funeral Service will be 1:00 PM Saturday, February 16, 2019 at Smyrna United Methodist Church, with Reverend David Woodhouse officiating. Burial will follow in the Browns Chapel Christian Church Cemetery. Mrs. Allred was born in Moore County on November 5, 1928 to George and Lessie Comer Brewer. She was a graduate of Westmoore High School, where she was one of the first female bus drivers in school history. She was a graduate of High Point College, with a degree in Elementary Education. She returned to teach at Westmoore School for 40 years. Mrs. Allred was a lifelong member of Elise Presbyterian Church in Robbins, where she taught Sunday School. Mrs. Allred was a loving and devoted wife, mother, grandmother and great grandmother. She was a godly woman, who was kind and gracious to everyone. She greeted everyone with a sweet smile and was loved by all who knew her. In addition to her parents she was preceded in death by husband Frank; grandson: Jeremy Allred; great grandson: Andrew Jay Allred. Edna is survived by son: David Allred and wife Sandra, of Robbins; granddaughter: Emily Page and husband Timmy, of Robbins; great grandchildren: Lexi, Ellee, Aubree, Timmy David; sisters: Allene Lambert, Ruby Key, Shirley Kennedy and many nieces, nephews and friends. In lieu of flowers, memorials may be made to Browns Chapel Christian Church Cemetery Fund, 608 Browns Chapel Church Road, Robbins, 27325.